Every store we open means new opportunities for career growth—and an opportunity to bring the Wegmans incredible service to a new community. Welcoming new people into our Wegmans’ family that are passionate about food and committed to helping our customers is key to accomplishing our goal of giving our best every day. This is why we open our employment office doors almost a year before our store opens. This helps us to ensure our people are fully trained and knowledgeable to deliver a high level of service to our customers the moment those doors first open. 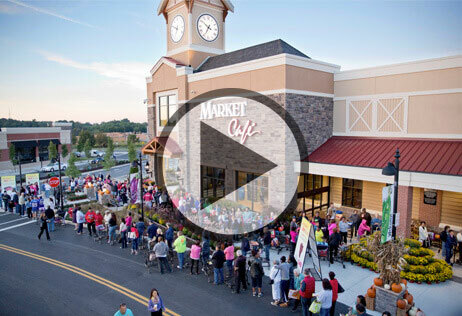 As we continue to expand into new markets and establish deeper ties with the communities we already serve, Wegmans will remain dedicated to the principles that have made it an industry leader. It always has been, and always will be, about giving our best every day. “Caring, respect, empowerment, high standards, and making a difference in the community are values that we try to live every day at Wegmans,” says Danny Wegman, Chairman, and that’s not going to change in the future.